As part of the launching of Phylgreen in France, our Ascophyllum nodosum seaweed-based range, Tradecorp will sponsor Jean Le Cam at Vendée Globe Challenge, the non-stop round-the-world race without assistance. We have chosen such magnificent international sports event as it matches with our philosophy of effort and performance. “Performance is the purpose of our products. They must be efficient in agricultural terms”, as Hugues Dumas, Director of Tradecorp France, explained. 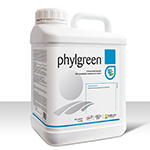 Phylgreen is Tradecorp’s biostimulant range based on Ascophyllum nodosum seaweed extract, a type of brown seaweed that grows in a highly stressing environment and has therefore developed a large amount of anti-stress active substances such as alginates, manitol and polyphenoles. Moreover, Tradecorp factory in Ireland uses the Gentle Extraction exclusive technology, a cold extraction method preserving all active substances in seaweed without adding any chemical substances. For more information on the Phylgreen range in your country, please contact your local Tradecorp office or contact us through our contact section. Vendée Globe is still the only solo non-stop round-the-world race without assistance. Due to its hardness, it can only be done by the most prepared skippers, who will face extreme conditions during more than three months. Held every four years, the 2016-2017 edition will leave from Les Sables-d’Olonne port on the 6th of November, 2016. 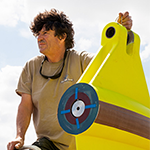 Jean Le Cam, aka “King Jean” for having dominated the Figaro circuit 20 years ago, has led a successful career in the sailing world and has become a legend in oceanic races and in Vendée Globe in particular. This will be his 4th Vendée Globe participation. 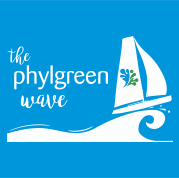 With the “Phylgreen wave” claim, Tradecorp and Phylgreen will follow Jean Le Cam during his whole challenge around the world.